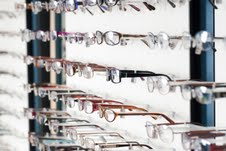 Eye examinations are an important part of health maintenance. Based on vision tests, an eye care professional prescribes the optimum lenses to help sharpen vision. Having the right lenses is critical to seeing and experiencing life to the fullest. My Husband has been wearing glasses just as long. We both are somewhat experts!! Or so we thought!! Zeiss Vision has a great website with learning tools to teach you all the things you need to know about your eyes, and what your eye doctor should be looking for. The website also lists everything you need to know to prepare you for your next eye exam. Head over to Zeiss' Educational Tools website to learn more, and better educate yourself. When I was a kid and had to start wearing glasses, the people at the doctor's office told me I was lucky, because - when I got older - all my friends would one day have to start wearing glasses, and it would make them feel bad, but I'd be used to it. Nah, didn't help, LOL.